man7.org > training > why man7.org? By contrast with large training companies, we take a "boutique" approach to training, specializing in a relatively small range of topics that are of particular relevance for developers of low-level Linux/UNIX user-space applications in domains ranging from embedded to enterprise server systems. We work closely with our customers, providing personalized assessment of their training needs, and where necessary customizing our courses to those needs. The emphasis of our courses is on providing deep conceptual understanding coupled with intensive in-class practical work. Our course materials include a large number of diagrams, example programs, and summary tables, and up to 50% of course time is devoted to carefully designed practical exercises. Some customers request, and we naturally provide, certificates of course completion for all attendees. 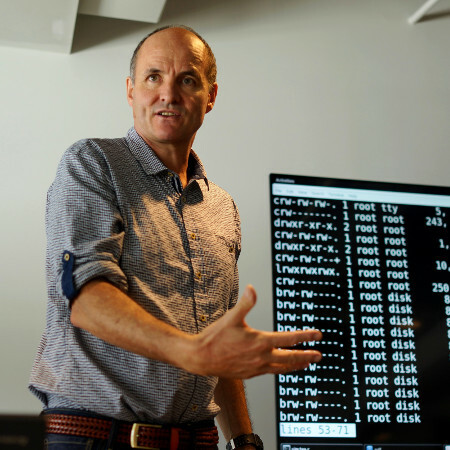 He is actively involved in Linux development—working with kernel developers on testing, review, and design of new Linux kernel-user-space APIs (system calls, etc.). In many cases, he personally knows the developers of the APIs that he describes in his courses; in some cases, he has even been influential in the design of those APIs. Since 2004, he has been the maintainer of the Linux man-pages project, which provides the manual pages documenting the Linux kernel-user-space and GNU C library APIs. As maintainer, he has to date (Dec 2018) overseen nearly 20,000 commits to the project and 182 project releases. His involvement with the project stretches back to 2000, and has provided him with a broad and deep understanding of Linux APIs and their historical development. That involvement has led to wide recognition in the Linux development community and a number of invitations to the annual invitation-only Linux Kernel Summit. In addition to being project maintainer, he has also authored or coauthored more than 400 of the just over 1000 man pages provided by the man-pages project; if you are doing system programming on Linux, you're almost certainly already relying on knowledge that he has put into the man pages. 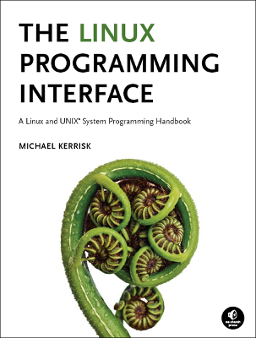 A copy of the trainer's book, The Linux Programming Interface, in electronic form, and, depending on the course, in printed form. Extensive printed course books containing all of the slides and exercises presented during the course. The course materials are liberally sprinkled with diagrams and sample code that illustrate the concepts presented in the course. Template solutions for the course exercises. For most of the more significant programming exercises, solution templates are provided. These templates provide the background boilerplate code needed for completing the exercises, leaving participants to focus on the specific technical problems posed by the exercises. By this means, we are able to cover more ground in the practical sessions and work on more ambitious exercises. Worked solutions for most course exercises (provided by email at completion of the course). All man7.org training courses are taught from materials produced by the trainer. Those materials are constantly updated and improved, based on changes in the Linux kernel and C libraries and experiences delivering each course. Because the materials are updated so frequently, the course books provided for each course are printed on demand. The same edition of the course books is rarely used for more than two courses; indeed, typically, a unique edition is produced for each course. With most large training organizations, when you enroll for a highly specialized technical course, you're likely to get an external trainer hired in by the company. Commonly, you won't have a guarantee about who the trainer is, how much training experience they have, or how up to date they are with the current state of Linux development. Furthermore, that trainer will likely be working with training materials and example programs produced by someone else, and in some cases those materials may be a few years old. Thus, the trainer may be working under the burden of teaching with outdated training materials that adopt a training approach that is unfamiliar and inconsistent with that of the trainer. Do you know exactly who will be delivering the course? What evidence do you have regarding how up to date the trainer is with the latest developments on Linux or how much training experience they have with teaching the course in question? When were the course materials published? Are the course materials up to date with the latest Linux developments? Were the course materials prepared by the trainer? If not, how familiar is the trainer with the materials? Is the trainer engaged with the Linux development community? With respect to man7.org training, we hope the answers to all of these questions are provided on this page. References from past customers are available upon request.